Imagine a world where the internet lived inside your head – where you would see a person’s name and their life history in your visual field as you were introduced, where you can share memories with a thought, and you can run programs to perform physical tasks to the utmost perfection. 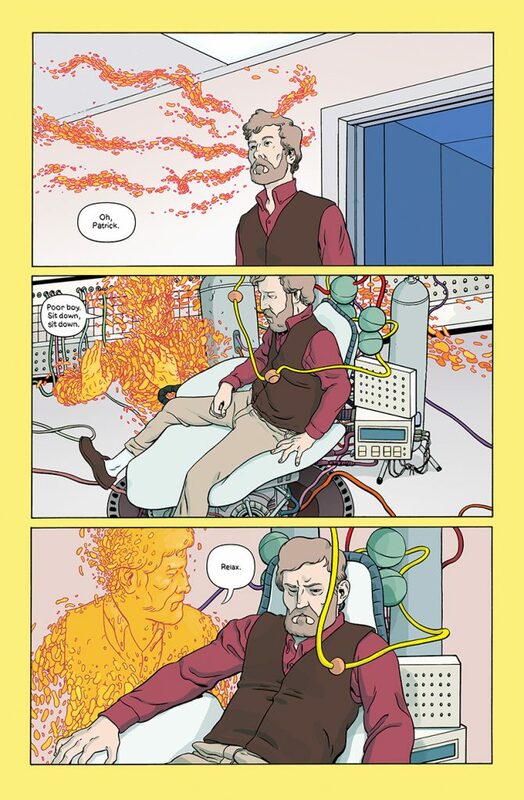 This is the introduction to Sheean and Ward’s Ancestor, a four-part comic originally published in the Island anthology edited by Emma Rios and Brandon Graham and published by Image Comics. In Ancestor, our hero is Peter Chardin, a man plagued by anxiety associated with this in-head internet, called The Service. His anxiety? That free will is an illusion dictated by the algorithms of The Service. He meets with friends before going out to a private party where the manipulative and dangerous genius Patrick Whiteside forever changes his life. The discussion of the proliferation of social media in day to day life always has some element of consent at its core – what is public, what is private, and does that line blur the more you use a service? What happens to your data – who sees it, who uses it, and for what end? These questions are inherent in the concept of The Service, and Sheean and Ward get at that with some of the bubbles from Peter’s Service view of Anne, one of the other main characters of the book. We see this theme of consent come up throughout the book – Peter and Anne do not consent to being changed from humans into the superpowerful Ascended by Patrick, nor does Peter consent to Patrick’s demands at the end of the book. Despite not giving that consent, these characters are manipulated against their will, driven by a person who claims to know what humanity’s true needs are. Sheean and Ward have created one of the best antagonists I’ve seen in recent science fiction; Patrick Whiteside, the co-creator of the Service which all of the characters use. He’s also a murderer and a psychopath, and hides that behind the veneer of a self-proclaimed messiah. I’m intrigued by the way Sheean and Ward use his financial power and his cult of personality to enhance his darkness. There’s a charisma and a madness to his character that is compelling and repulsive. The relationship between Peter and Patrick is a key part of the puzzle of Ancestor. Both men suffer from anxiety, and that anxiety and a desire for control is what drives much of their behavior in the beginning of the book. Peter is happy, even thrilled with the loss of The Service – finally in control of his own body and his own head. Patrick, in a world where he has limited other people’s access to The Service, ends up sneaking off and using The Service to try to convince himself that he is in control. We see this even in the latest parts of the book, where roles are essentially reversed. Patrick tries to maintain control of every detail, every situation, but in the end, it is Peter who surpasses him. 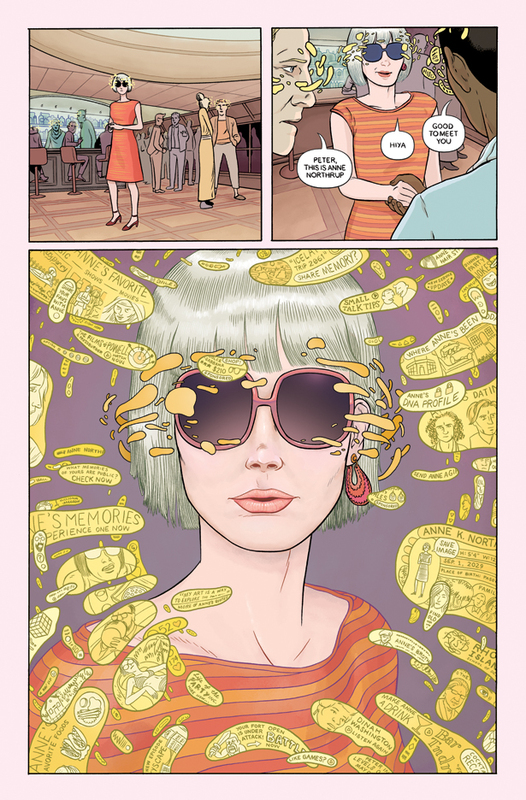 In addition to the central themes, the value and position of art in a highly social world takes a unique role in the comic. I think it is interesting how Sheean and Ward integrate famous works of art into the book, and how characters relate to art throughout. Both of the protagonists Anne and Peter are artists, and Patrick attempts to be an artist (although in his continued sick and twisted way). There’s something to be said for the way that Peter and Anne continue to create as the godlike Ascended – with their humanity “improved,” what matters is the amount of data that is added to the collected knowledge of the Ascended, not the aesthetics or the purpose of their creations. It feels like this theme of the value of art and its form sneaks into the book at places; it acts as an accent to the more pressing concerns of privacy and consent. Taking a look at the images I’ve sampled for this review, it’s clear that the art is fantastic, and at times it’s breathtaking. Sheean and Ward’s process is so fully integrated that it’s hard to determine who did what – there’s a level of collaboration here you don’t see on most team projects and that collaboration has served Ancestor very well. 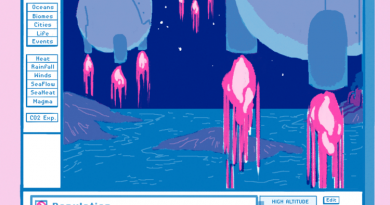 The colors are lovely, setting the tone for the strangeness and the otherworldliness of some parts of the story. The way the comic flows feels effortless. 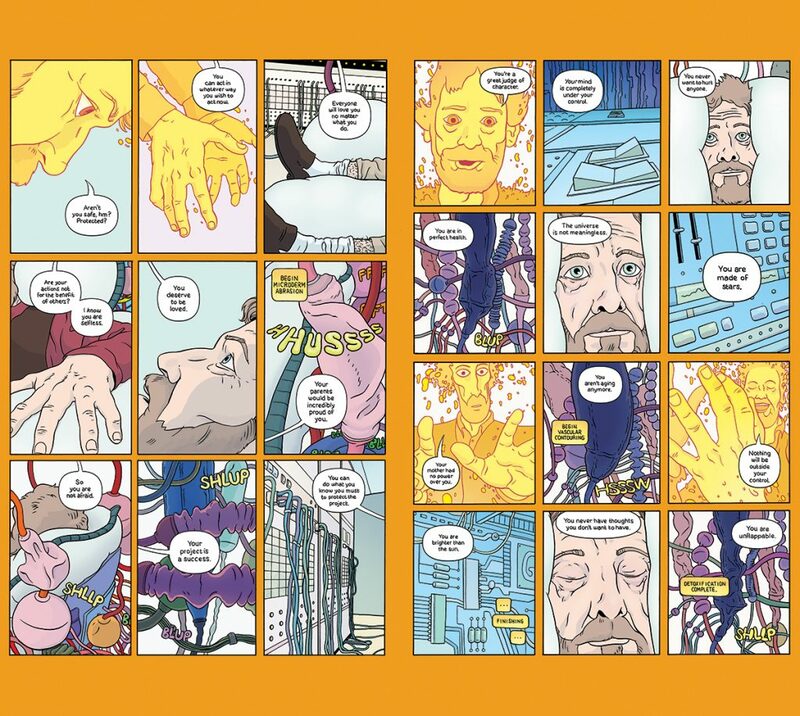 As the comic progresses, the gutters between panels get darker and darker, just as the storyline gets darker and darker. It’s small touches like these seen throughout the comic that take the work to a more inspired level. 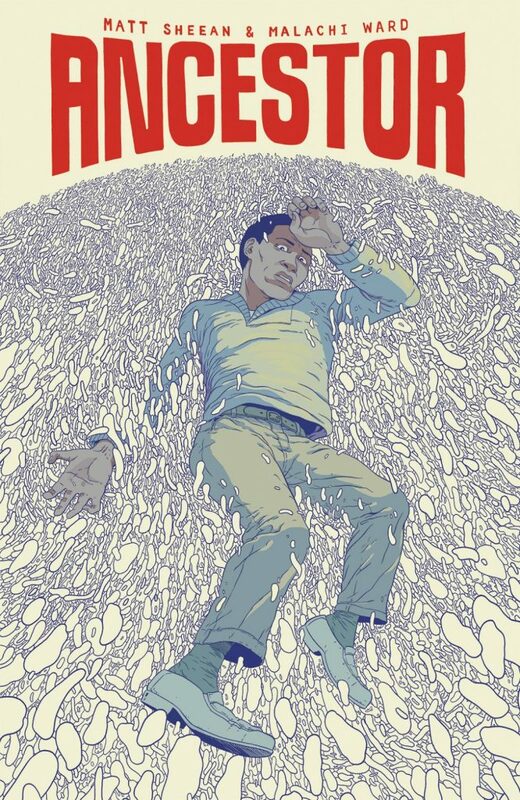 With Ancestor, Sheean and Ward have created a fascinating meditation on what it means to be human with self-control in a world of rapidly changing social technology; it billows into something more fantastic, but stays true to this concern. The best science fiction walks a fine line between being part of the future and part of the now; it concentrates the concerns of today in the form of tomorrow. Ancestor does that admirably. Sequential State is supported by readers on Patreon. If your reading experience today was worth a dollar to you, consider supporting the site. Thanks!